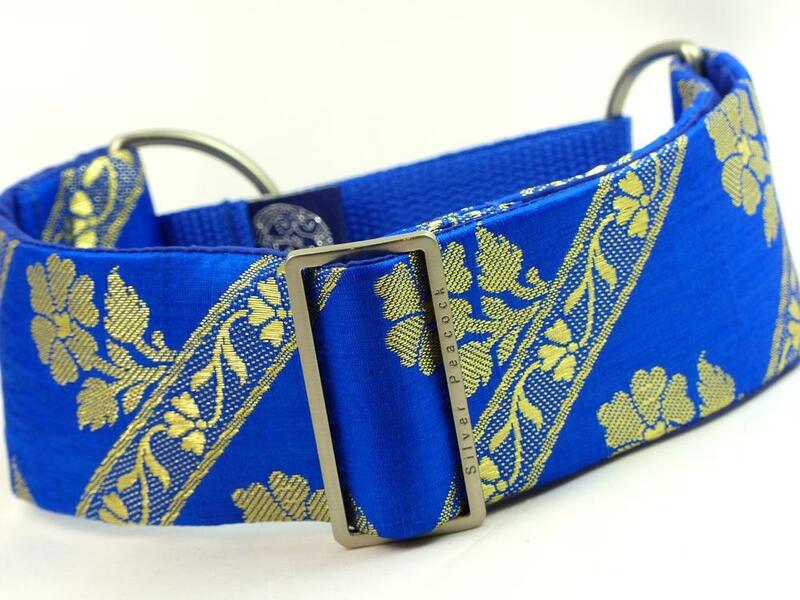 Another lovely traditional design for those elegant hounds! 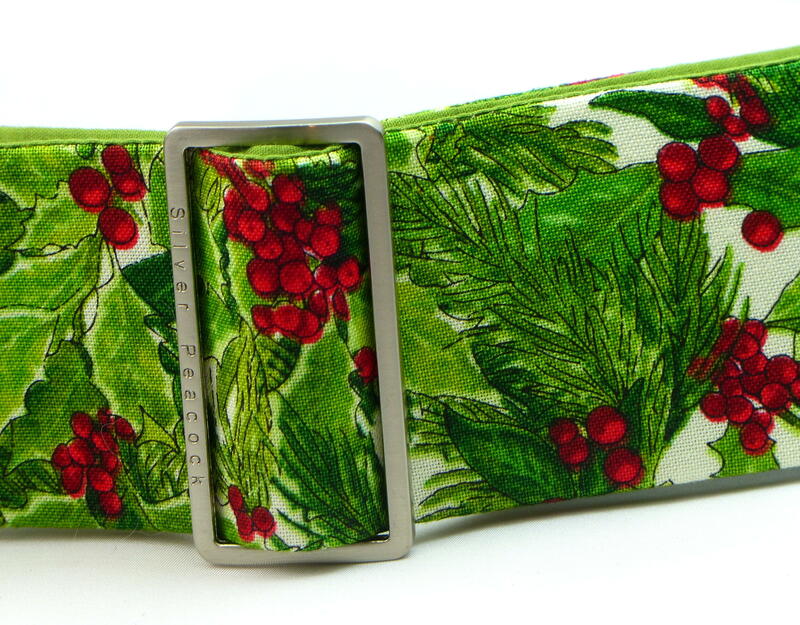 A detailed print of holly leaves and berries, and fir boughs on a cream background. 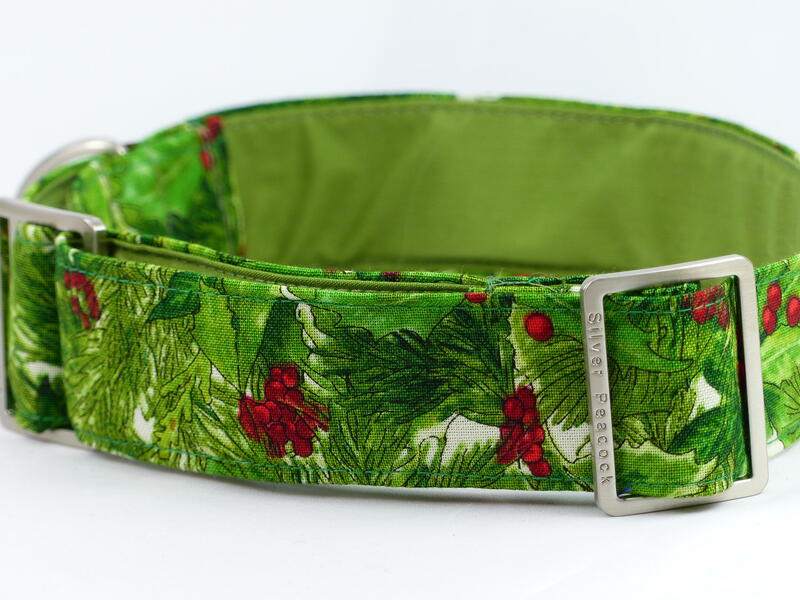 The collars are lined in complementary moss green fabric and finished with our signature robust hardwear. 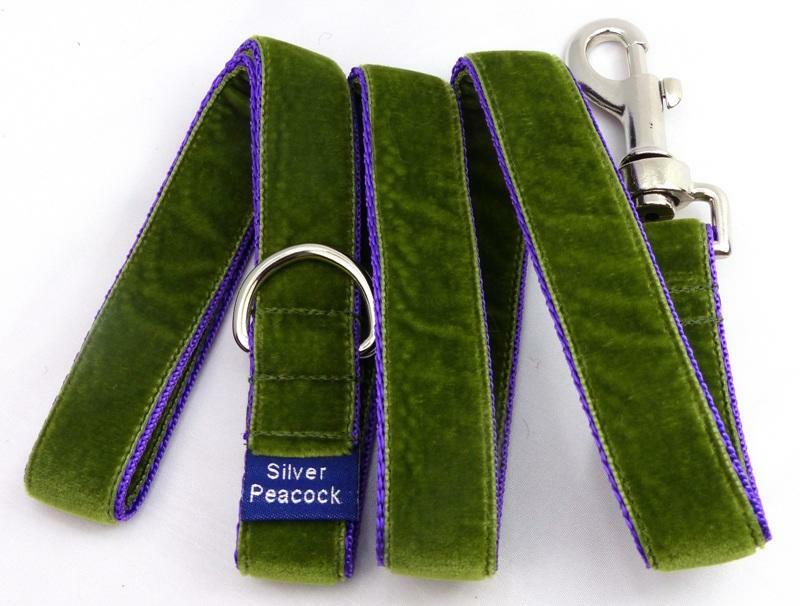 The martingale version has a moss green webbing section.